overpriced? you should see the prices at Austin! the Lotus raincoat i bought in Spa for 100 euros was 250 USD in Texas! "According to secured information, Lotus F1 was almost sold at the end of October 2012, minor juridical details led to the signing being delayed. RÃ¤ikkÃ¶nen's victory in Abu Dhabi overturned the deal because Lopez and Lux smelled an increase in value of the team and wanted to renegotiate, the investors ultimately lost interest and talks broke down at the beginning of December." If this year they can continue to produce a great car I think everything should be fine. fingers crossed. There is no smoke without fire, I am sure Genii were looking to sell the team but on the otherhand I dont think the debts are as bad as is stated here. They have a few new sponsors and they were able to recruit other sponsors during the year, the value of the team is increasing, it is a good investment right now. They were even able out compete Mclaren for sponsors, so I dont think the situation is currently so dire. It is true Kimi made a big difference. If you just look at Grosjean's points he scored about the same as the drivers did in 2011. If Lotus were still using someone like Senna and perhaps Grosjean, then they would have performed on the same level as that they did in 2011. It is therefore that I think the car itself didn't really improve that much from the previous year. In the previous year they also scored podiums in the beginning of the season and lost momentum due to going in the wrong direction with their exhaust design. Last season was actually very similar to the year before last season, the only difference was that the top cars in general were much closer and made some costly mistakes, and that they had Kimi. Kimi extracted the most out of car to take advantage of the teams being so close together and other people's mistakes. Perhaps a bit off topic from the original idea of the post, but that is why I value Kimi's season very highly, I dont think all of the F1 fans generally respect or understand how difficult it is to consistently score in such a manner in a slower car. The car and team was fourth best, Kimi should have ended up in 7th or 8th place by right, I dont think people always realize how difficult it is to end up much higher then where your team is suppose to finish, and it was the same situation with Alonso as well last seaon. These types of performances are often undervalued because it doesn't look spectacular with many wins and many pole positions, but in actual fact it is really difficult to stay up there consistently race after race without making mistakes. Out of the current crop of drivers it is only Kimi and Alonso who has been able to manage these types of performances over a whole season, and both have done it in more then one season. Hulkenberg also managed a performance like this in the second half of the season, he is definitely one to look out for in my opinion. On the otherhand I am not saying that Vettel and Hamilton aren't capable of these types of performances, both of them have always just mostly had cars that where to good to judge. That is one reason why it would be very interesting to see what Lewis can do next year. I see lots of his fans predicting that he will fight for the championship or end up in 3rd place like Kimi this season. Of course a lot depends on the car, and I am expecting Lewis to do well enough but I think his fans will also learn and realize how difficult it actually is to do what Kimi and Alonso did last season. I think Vettel also got the most out of the circumstances. It's easy to forget that the first half of the season was pretty much damage limitation for him. Only in the second half had Vettel a car, that was both fast and suiting his style. Hamilton is tougher to judge. He still seems to sulk when circumstances doesn't favour him, even if he did make a step forward. He also never had to face a car that doesn't suit his style. It's a big question what kind of car Merc produces this year, and how he'll react. Kimi on the other hand made a very good job considering the circumstances. Yes he had a fast car in the first half of the season, but in a new team, after competing two years in a completely different discipline with a car he needed to work hard to fine tune to his style, and often in circumstances that hampered them. It's easy to say Alonso would have win races earlier, but would he in the same situation? 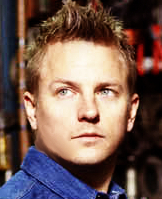 I think Kimi judged to perfection when to push and when to settle for damage limitation. Some called him a perfect point collecting mashine, and for a good reason. I'd really like to see what he could do with a car and environment he completely trusts. Wow, a "perfect-point-collecting-machine" another great nickname for Kimi's collection.